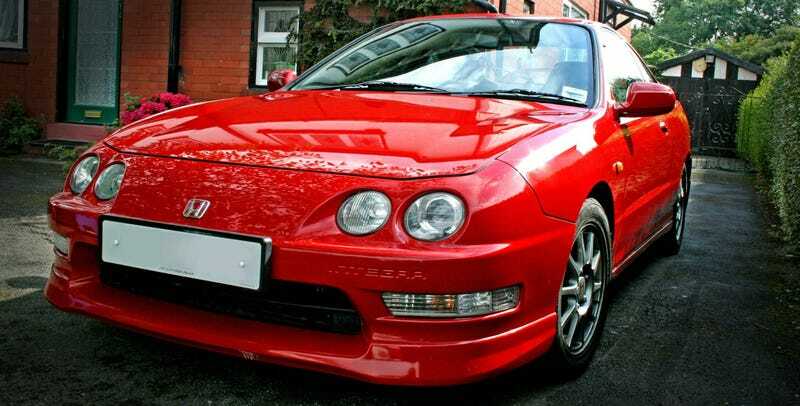 So I’ve been thinking, especially after my Secret Senna gift, about doing a few cosmetic modifications on my Integra. Nothing crazy or ricey though. I’ve been contemplated doing a Honda badge swap since I’ve had it (regular not the red ones pictured) and clear blinker lenses. I’m kind of determined on the blinkers, because seeing the yellow blinkers on the red car makes me wanna get gold rims, but clear lenses are cheaper! The badge swap would be easy and if I could find a clean black EG steering wheel cover I could do that too, along with valve covers possibly. Anywhoo what does Oppo think?